These are early examples of grisaille painting in Cologne. 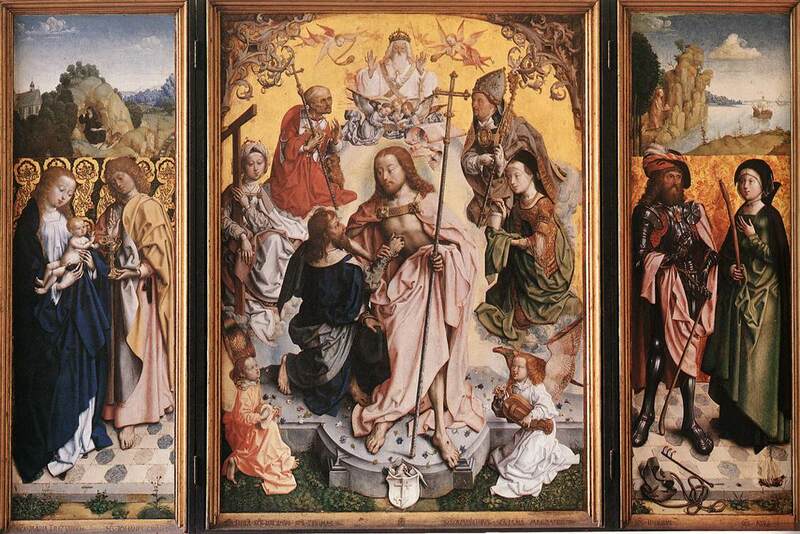 The altarpiece was donated by the lawyer Dr Peter Rinck to the Carthusian church of St Barbara in Cologne, and is a major work by the Master. This dramatic interpretation of the Miracle of St Thomas is set in a supernatural sphere and is combined with a depiction of the Holy Trinity. (470 + 1060 + 470)х1430.